Novel endoscopic procedures (endoscopic sleeve gastroplasty (ESG), AspireAssist (AA), and primary obesity surgery endolumenal (POSE)) have been developed for treatment of obesity. We aimed to conduct a systematic review and meta-analysis to evaluate and compare the efficacy of these three endoscopic procedures. Main outcomes of interest were percent excess weight loss (%EWL) and percent total body weight loss (%TBWL). Weighted pooled means (WPMs) were calculated and analyzed using random effects model. Mean differences (MDs) were calculated to compare these procedures. Twelve studies with 1149 patients were included. WPMs for %EWL at 6 and 12 months with ESG were 49.67 (45.67, 53.66) and 52.75 (43.52, 61.98), respectively, while %TBWLs at 6 and 12 months with ESG were 16.01 (15.10, 16.92) and 17.41 (17.08, 17.74), respectively. WPMs for %EWL at 6 and 12 months with POSE were 43.79 (40.17, 47.42) and 44.91 (40.90, 48.92), respectively. WPM for %EWL at 12 months with AA was 50.85 (46.03, 55.68). While comparing ESG and POSE, at 6 months and 12 months, MD for %EWL was 6.17 (1.07, 11.26; P = 0.01) and 7.84 (− 2.05, 17.71; P = 0.06) in favor of ESG. No difference in %EWL was observed while comparing ESG with AA (P = 0.29). Likewise, MD for %EWL to compare AA and POSE was not significant (P = 0.68). 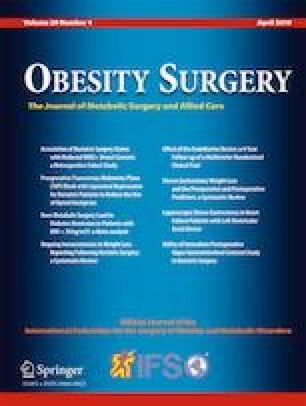 During a follow-up of 6–12 months, both AA and ESG had excellent efficacy in achieving significant and sustained weight loss; however, ESG was found to be superior in terms of weight loss when compared with POSE. Reem Z. Sharaiha is a consultant of BSC and Apollo Endosurgery. All other authors have no financial disclosures or conflicts of interest relevant to this study. Systematic review and meta-analysis does not require formal consent. Informed consent does not apply to this systematic review and meta-analysis. 1. Was the study question or objective clearly stated? 2. Were eligibility/selection criteria for the study population prespecified and clearly described? 3. Were the participants in the study representative of those who would be eligible for the test/service/intervention in the general or clinical population of interest? 4. Were all eligible participants that met the prespecified entry criteria enrolled? 5. Was the sample size sufficiently large to provide confidence in the findings? 6. Was the test/service/intervention clearly described and delivered consistently across the study population? 7. Were the outcome measures prespecified, clearly defined, valid, reliable, and assessed consistently across all study participants? 8. Were the people assessing the outcomes blinded to the participants’ exposures/interventions? 9. Was the loss to follow-up after baseline 20% or less? Were those lost to follow-up accounted for in the analysis? 10. Did the statistical methods examine changes in outcome measures from before to after the intervention? Were statistical tests done that provided p values for the pre-to-post changes? 11. Were outcome measures of interest taken multiple times before the intervention and multiple times after the intervention? World Health Organization. Obesity and overweight - fact sheet no. 312. Updated March 2013. www.who.int/mediacentre/factsheets/fs311/en/. Accessed 2 July 2018. CDC. Adult obesity causes & consequences. https://www.cdc.gov/obesity/adult/causes.html. Accessed 2 July 2018. NIH. Quality assessment tool for before-after studies with no control group. National Institutes of Health Web site; 2014. http://www.nhlbi.nih.gov/health-pro/guidelines/in-develop/cardiovascular-risk-reduction/tools/before-after. Accessed 2 July 2018. Multicenter ESG Trial (MERIT): ClinicalTrials.gov Identifier: NCT03406975; 2018. https://clinicaltrials.gov/ct2/show/NCT03406975.